Exploring the heritage sites of Incredible India, and narrating to other, to visit India and explore this incredible land on earth. 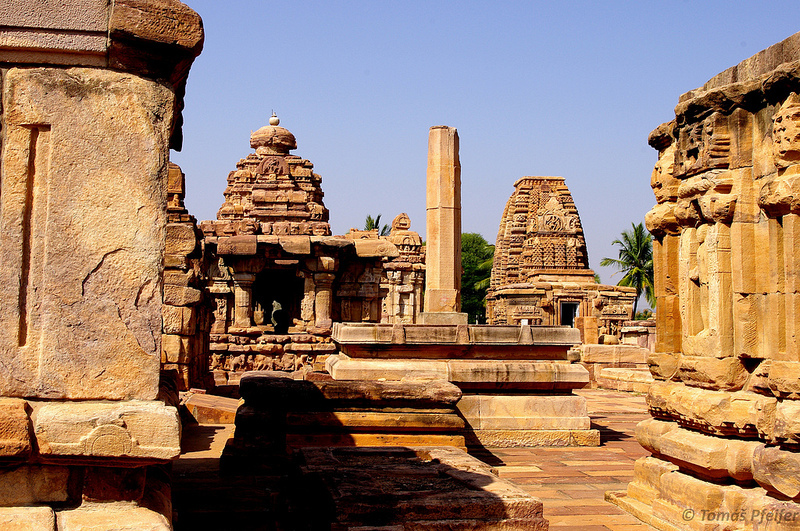 Pattadakal-Group of Monuments is situated about 22 km from the Badami.It is a small village in the Bagalkot district on the bank of river Malaprabha in the state Karnataka. 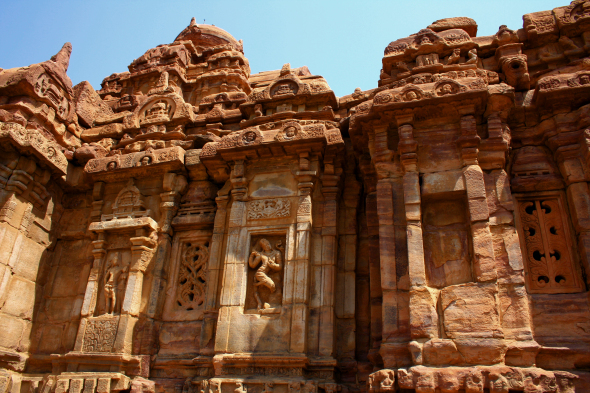 Pattadakal is renowned as the “City of the Crown Rubies”. It is the UNESCO World heritage sites. 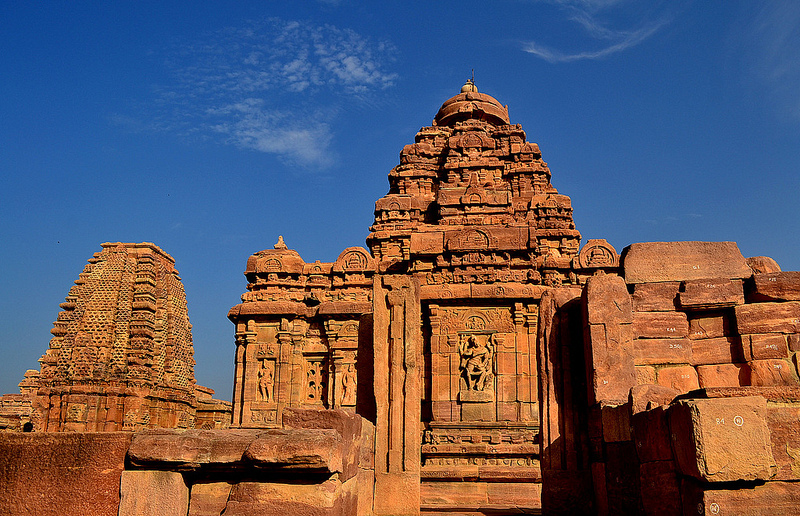 Pattadakal is a wonderful and ancient magnificent example of great Indian architecture. 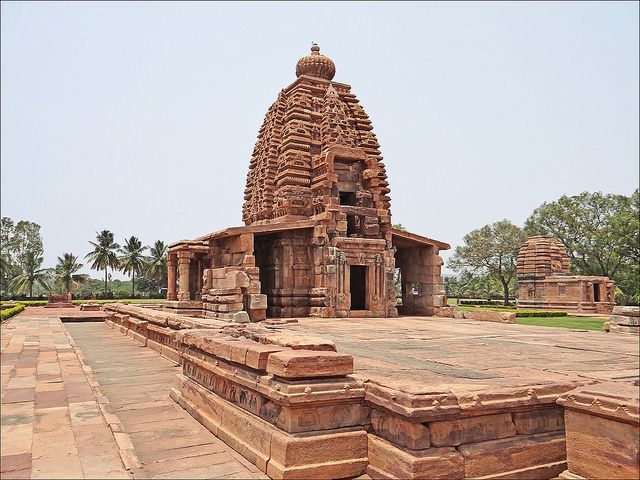 These Pattadakal monuments were build by the Queen as a gala of conquest of the king Vikramaditya II over the Kanchi Pallavas . 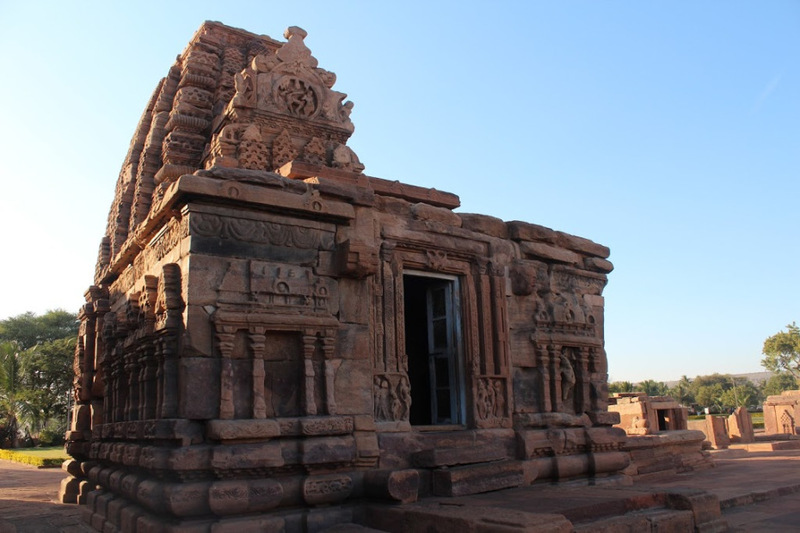 Pattadakal is the cluster of ten beautiful carved temples which are the showcases of the amazing Indian architectural with the great blend of northern and southern archeology. It is situated at the centre of wonderful green lawn. Among the ten temples nine are the Hindu temples and one is the Jain temple. All temples are beautifully carved with various stories and scenes of the great Hindu epics of Mahabharata and Ramayana. The walls of temples also carved with the Goddess, God, demons and battle fields. Virupaksha Temple is the largest temple in the Pattadakal campus. This temple is also renowned as the Lokeshvara temple or the Lokapaleshvara.This temple is built in the Dravidian style and it has three entrances. 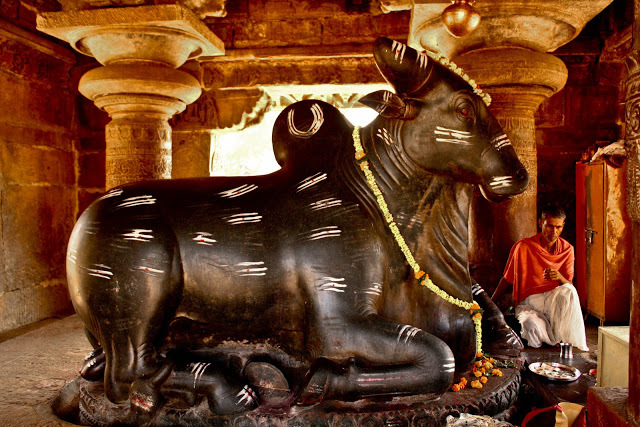 Black stone bull is the great charm of this temple. 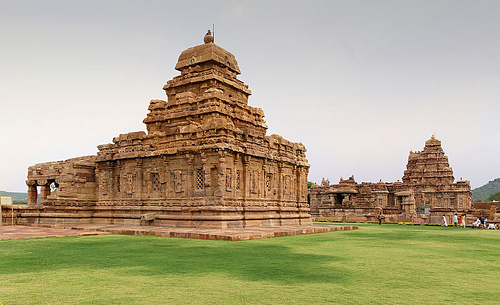 Sangameshvara Temple is the oldest temple of the Pattadakal and it is earlier known as the Vijayewara Temple. It was constructed by the Chalukya King, Vijayaditya from AD 696 to AD 733.This temple is decorated by the twenty pillars which are arranged in four rows in the navaranga.Beautiful figures of Nataraja and Ugranarasimha are placed in the walls of temple. Although this temple is incomplete, remains attractive for its architectural excellence. It is the small temple in the campus. It is only 15 feet and located on the left side of the Sangameshwara Temple. This temple has a garbhagriha with sacred Shiva Linga. This temple like as a smaller version of the Virupaksha Temple. It is constructed by the second queen of Vikrmaditya during AD 745 and it is located on the north side of the Virupaksha temple. It is constructed in the Dravidian style. It has eighteen pillars which are decorated with the stories of the Ramayana, Mahabharata and other Hindu epics. All walls are carved with the images of Hindu God and Goddess. The Kashivishvanatha Temple, constructed in the 8th century and it was the last temple built in early Chalukya style. The temple was built in the Nagara style of architecture. 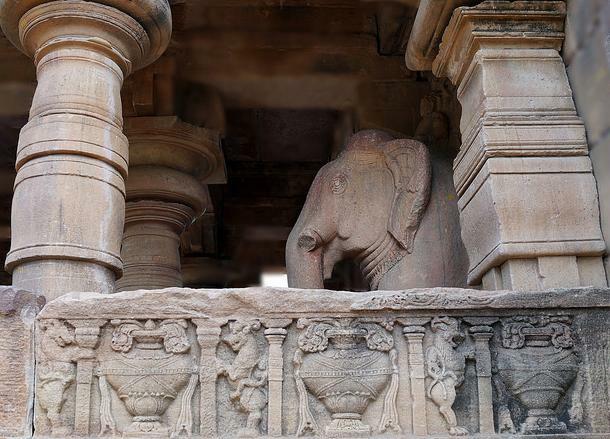 It is placed on the north side of the Mallikarjuna temple. Galaganatha temple is constructed between the 8th century.It is constructed in the Rekha Nagara Prasada style. The major specialty of this temple is the sculpture of the Lord Shiva in the posture of killing a demon, Andhakasura. The tower of the temple draft workmanship in the Rekhanagara style. Kadasiddheswara Temple built in the middle of the 7th century. It is lies on a plinth. It is constructed in the Rekha Nagar style.there is a sanctum that install a sacred linga of Lord Shiva. This temple is beautifully carved the images of Shiva , Parvati,river goddess ,Ardhanariswara and many more. This temple is built in between 7th century. It is same as the Kaidaisiddeshwara temple. The Jambulingeswara temple lies on a plinth with five eaves. 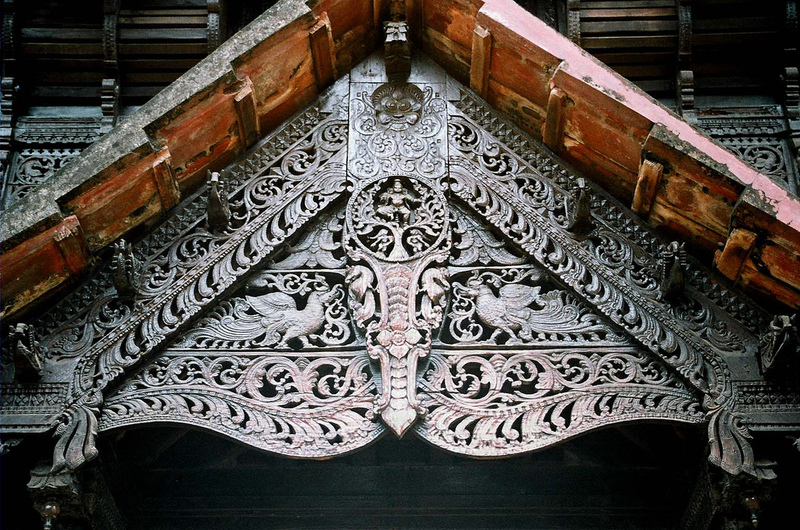 All eaves are well carved with beautiful figures of birds, God, Goddess, Shiva, Sun and Vishnu. 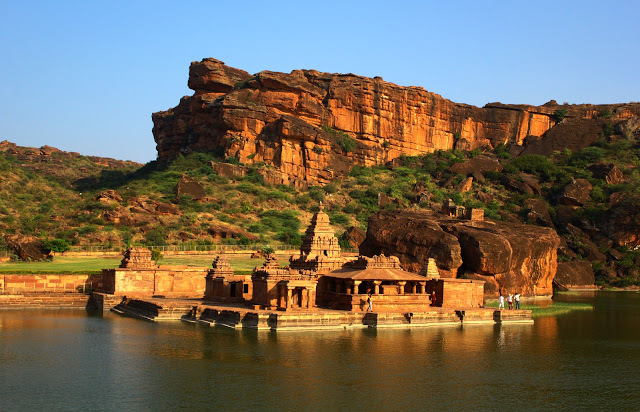 Jain Temple is located on the Pattadakal Badami road. It is also renowned as the Jaina Narayana Temple.It is built in the Dravindian style.It consist a garbhagriha,a mukhamantapa, a shukanasa and a navaranga. The construction of the Papanatha Temple started in the Nagara style but later it was built in the Vesara style.It is constructed in AD 680.This temple is full with incredible carvings on the walls and ceilings. 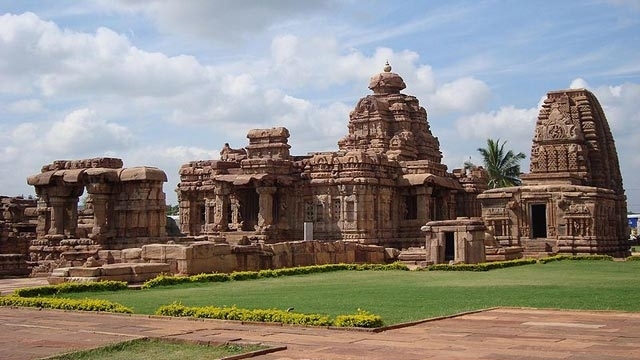 Pattadakal is the graceful and amazing showcase of the great art of Chalukyas.Although the construction of some temples remains incomplete but they still possess an attractive and enchanting posture. The ancient sculptures embellished the subjects of women, demons and Gods. It is really marvelous to see the whole complex of monuments standing tall against the desolate of time. 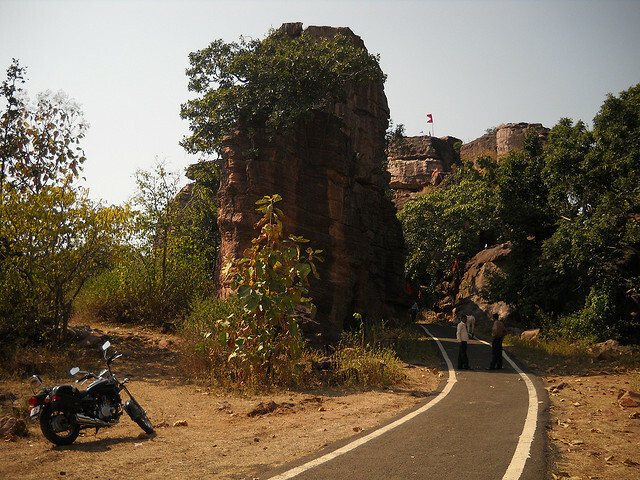 The Bhimbetka rock shelters are situate in the Raisen District of Madhya Pradesh of India. It is an archaeological site of the Paleolithic demonstrating the ancient notches of human life in the India. These amazing rock shelters and paintings were explored by the Dr. Vishnu Shridhar Wakankar in 1957-58.It is a UNESCO World heritage site. 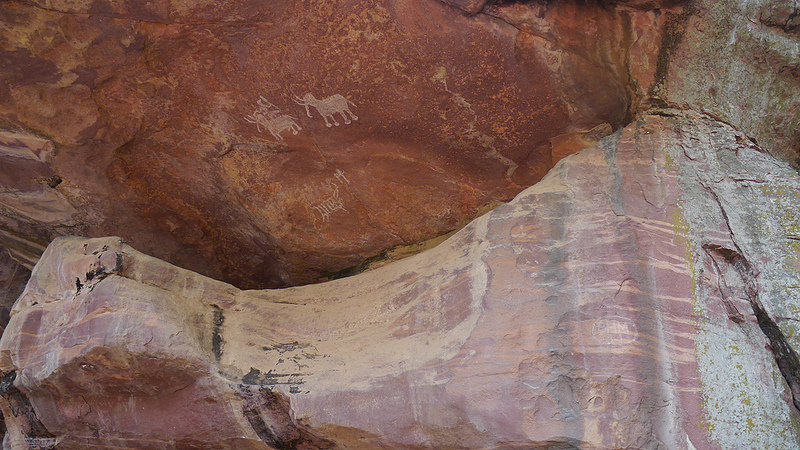 The Bhimbetka rock shelters are the collection of 750 rock shelters from which 500 are inwrought by the paintings. These Stone Age rock paintings are around 30,000 years old. 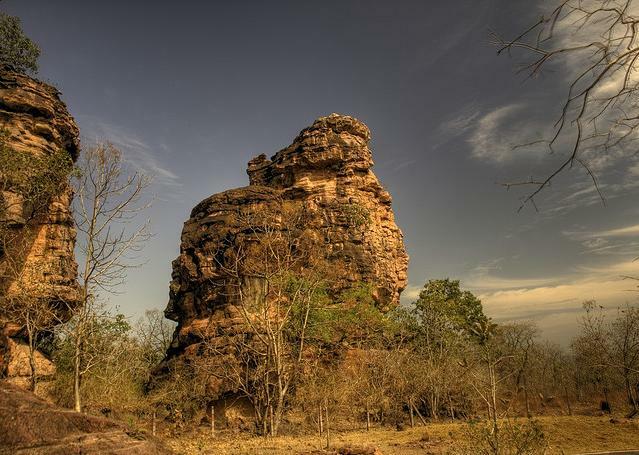 Bhimbetka gets the name Bhimbetka because in the Mahabharata, which is one of the sacred epics of the Hindus, it is written that Bhim or Bhima used these rock shelters as his sitting place. 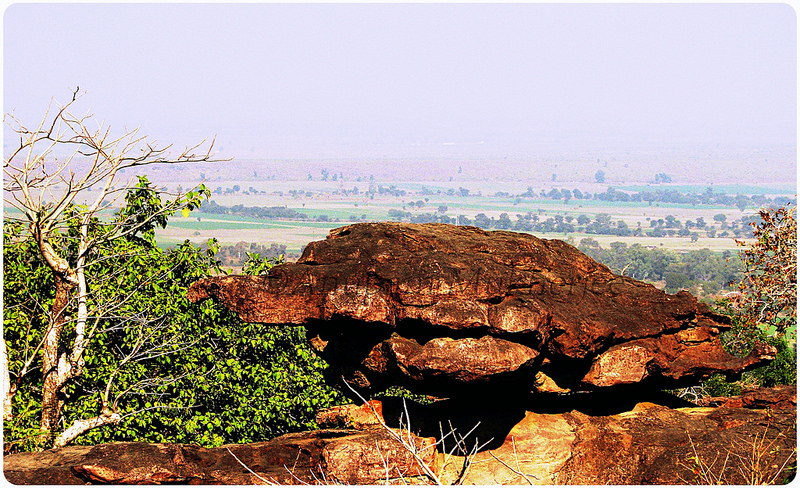 It is exactly located over 100 meters above the Deccan traps between the Ratapani Wildlife Sanctuary.There are over 750 rock shelters in this region and more than 400 rock shelters are spread over the five hills in this main area .These five hills are Bineka, Bhimbetka, Bhonrawali,Lakha Juar (east) and Lakha Juar (west).This area is full with dense forest , a cluster of five rock shelters and highly blessed by the natural beauty. These are the showcases continuous sequence of cultures from Paleolithic to the Historical period. 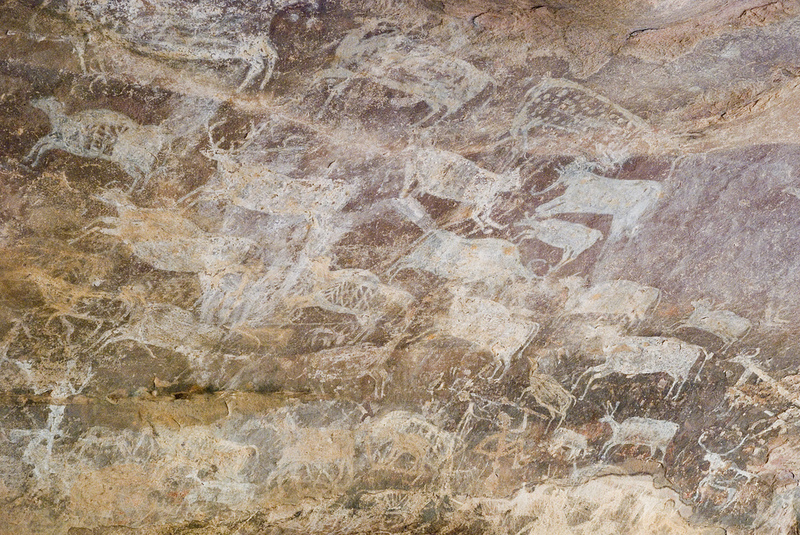 These rock structures decorated with the interesting paintings which define the art and culture of ancient people, Hunting, dancing, drinking, various animals, animal fighting, people, childbirth scenes, linear depiction of human figures hunting, warfare and the day to day activities of the men explained by the these painting on the walls of caves. White, green, red and yellow are the colors which are used in the paintings. Paintings which are painted with white colors are the oldest paintings. Red colors made painting are less old and basically rd colors painting present the pictures of horses, bow and arrow. Most of the walls of caves are decorated with colorful paintings. All paintings are ancient but some paintings are more than thousands years old and about the people and animal hunting scenes. Red colors paintings are clearly visible, all yellow and green color paintings are not perfectly visible but only some are visible. This shelter is a cluster of amazing paintings of the historic period. 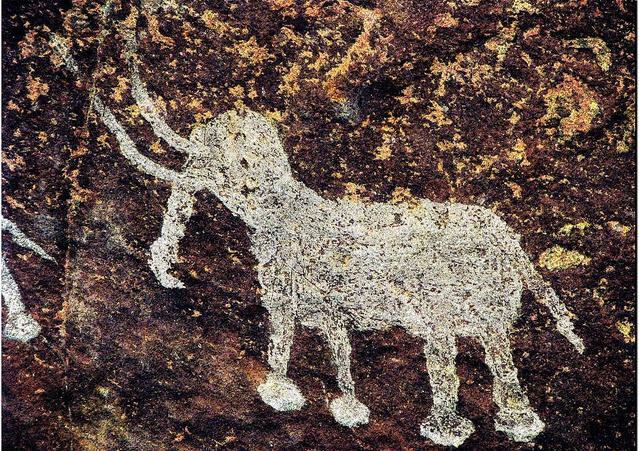 The upper ceiling of this rock shelter has a painting of two elephants. Both elephant has long tusks and smaller elephant is driven by a man, which holding a goad in one hand. There are lots of paintings of men and animals. Each and every painting has a deep story about that period. This is also known as auditorium due to its huge shape. It is about Thirty nine meters long, four meter wide and seventeen meter high at the western end. This rock shelter has paintings of buffaloes, deer, bulls, a peacock, tiger, and hand print of a child. 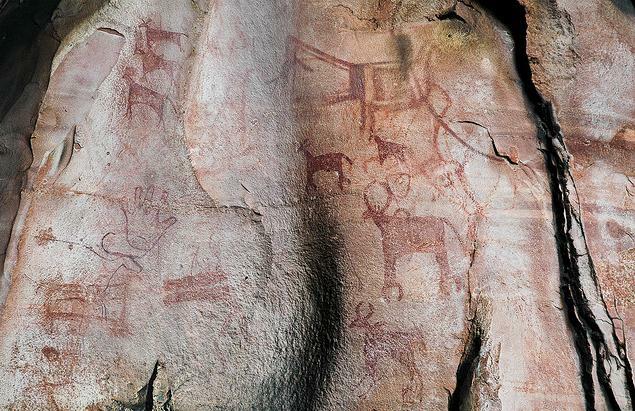 “Zoo Rock” is one of the popular rock shelters which are full with the drawings of deer, sambar, bison and elephants. The shape of this shelter is semicircular. There are total 453 figures .Among the 453 figures 252 figures of animals are there. On account of the huge number and variety of animal paintings, it is renowned as Zoo Rock. This rock is look likes a tortoise.The most of the paintings of this rock shelter based on the geometrical designs. 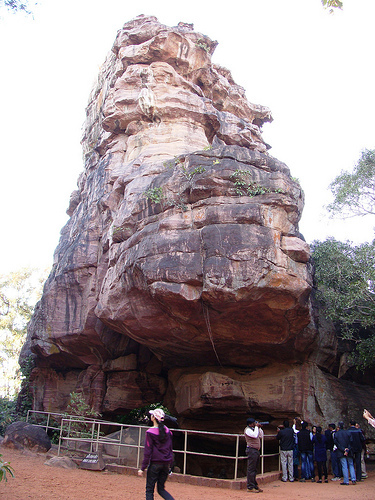 It is mushroom shaped rock shelter and it popular as Boar rock due to a giant figure painted on the rock surface. 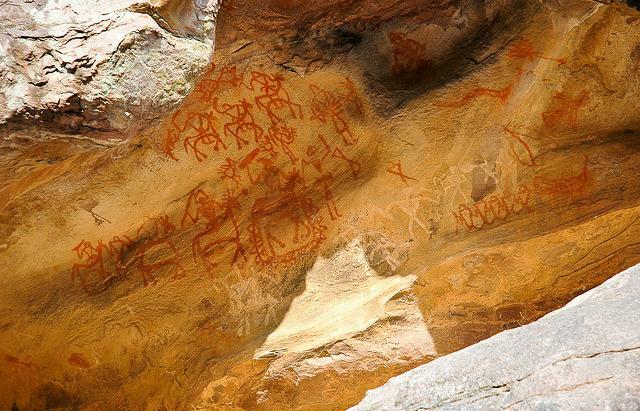 Marvelous figures of boar, men and animals have decorated the walls of this shelter.Bhimbetka Rock shelters are really a priceless heritage of India. 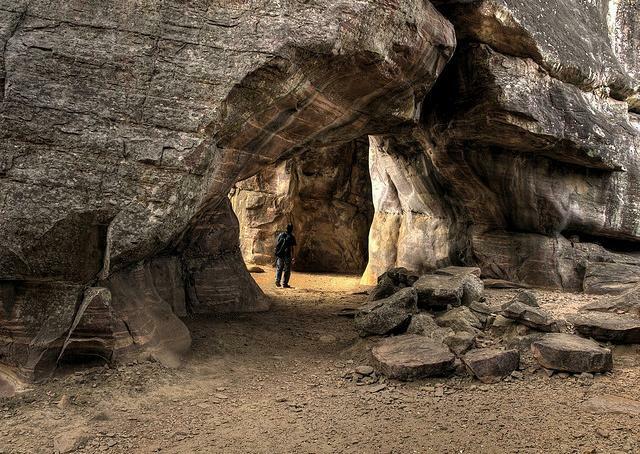 Paintings of these rock shelters are the showcases of seven historic ancient periods. 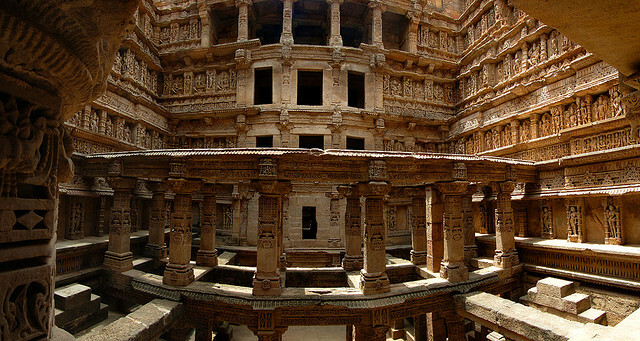 The Rani ki Vav is a UNESCO World Heritage site.It is recently added to the list of UNESCO World Heritage sites. 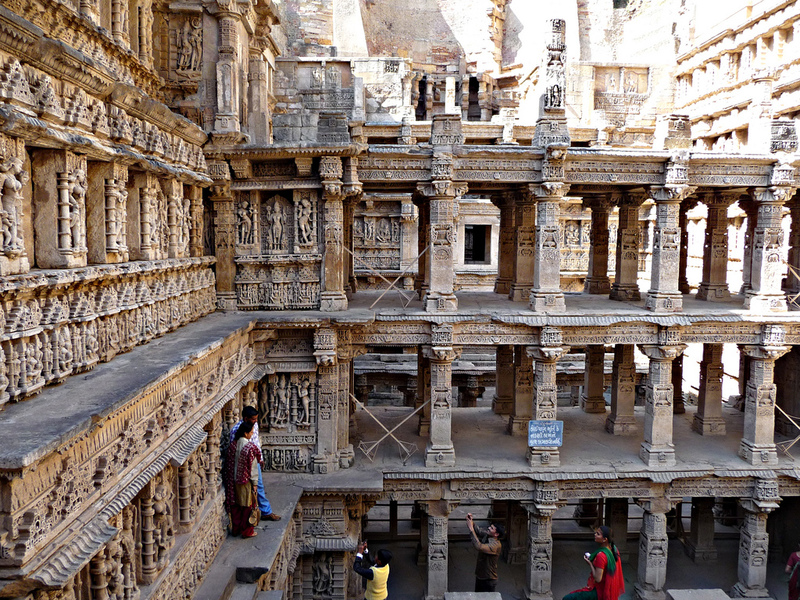 It is the carved and amazing step well, which is located in the Patan is a small town of Gujrata in India. The Rani ki Vav is built in 1603 by the Udayamati, who is the queen of Patan in the memory of her beloved husband ,king Bhimdev I, who was the son of the founder of the Solanki dynasty of Anahilwada Pattan. 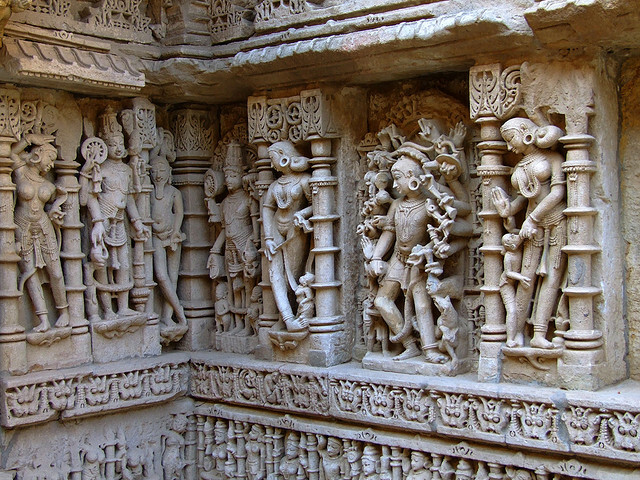 The Rani ki Vav is the 7 storey underground structure, which is finely carved and full with amazing sculpture. 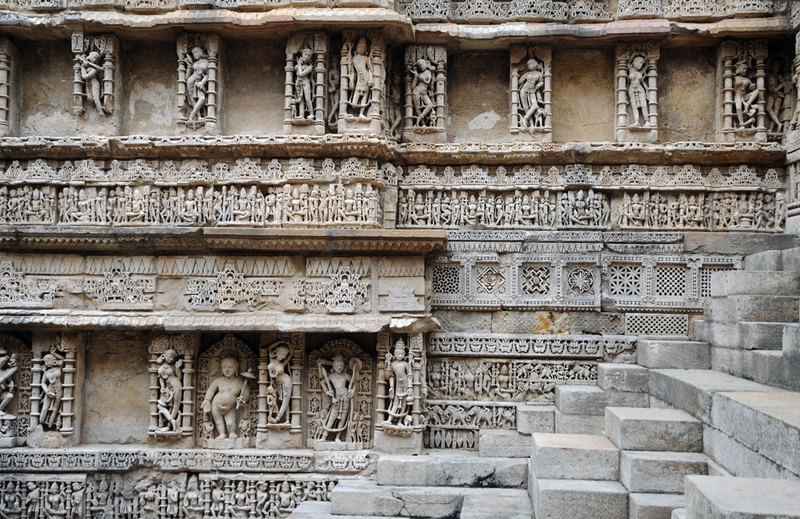 After the complete construction of Rani ki Vav , it was completely flooded by Saraswati River. 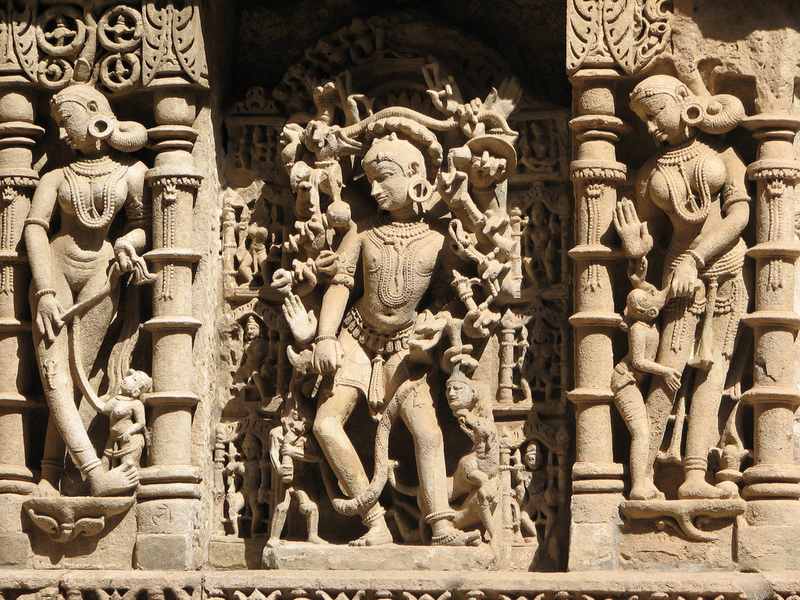 Later on in 1980, it found by the Archeological Survey of India with loads of wonderful sculpture and carving. 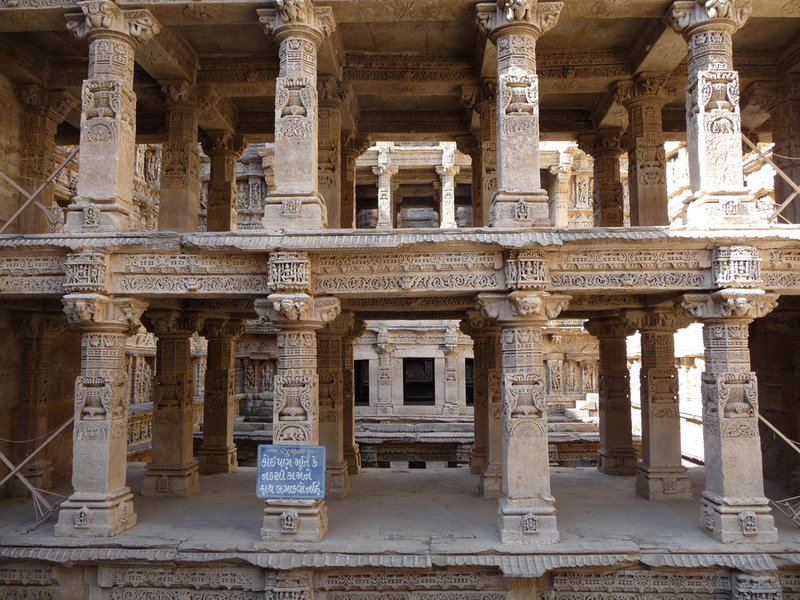 Due to the excellent sculpture of Rani ki Vav, it was novelized by the archaeological department of Gujarat. 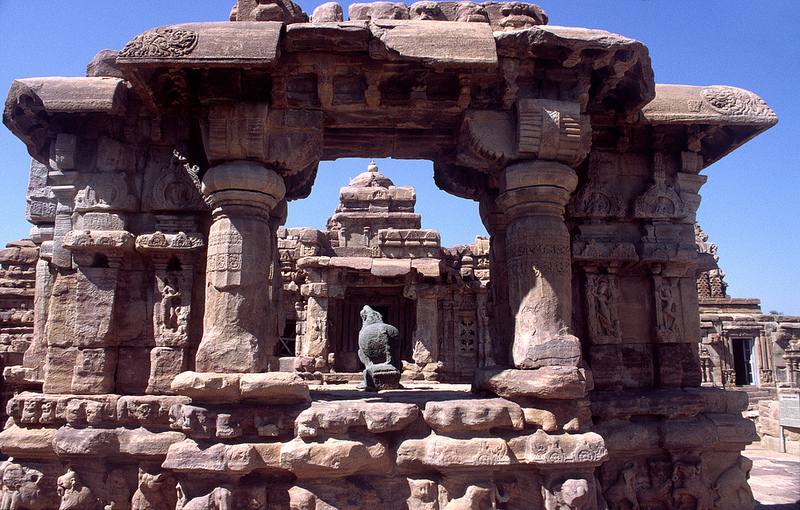 The Rani ki Vav is spread in a large area. The length of Rani ki Vav is 64 meter, width is 20 meters and 27 meters deep. 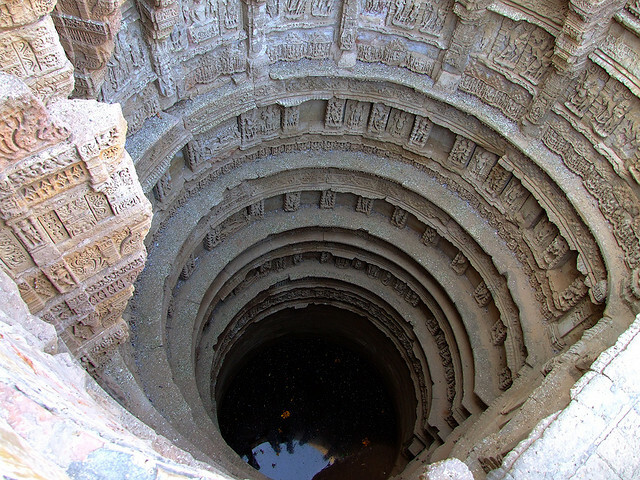 Step wells are a different form of underground water storage and resource systems on the Indian subcontinent, and have been framed since the 3rd millennium BC. They evolved over time from what was basically a pit in sandy soil towards elaborate multi-storey works of art and architecture. Steps lead down through multiple levels with lines of carved pillars and over 800 sculptures, mostly on Vishnu-avatar themes. 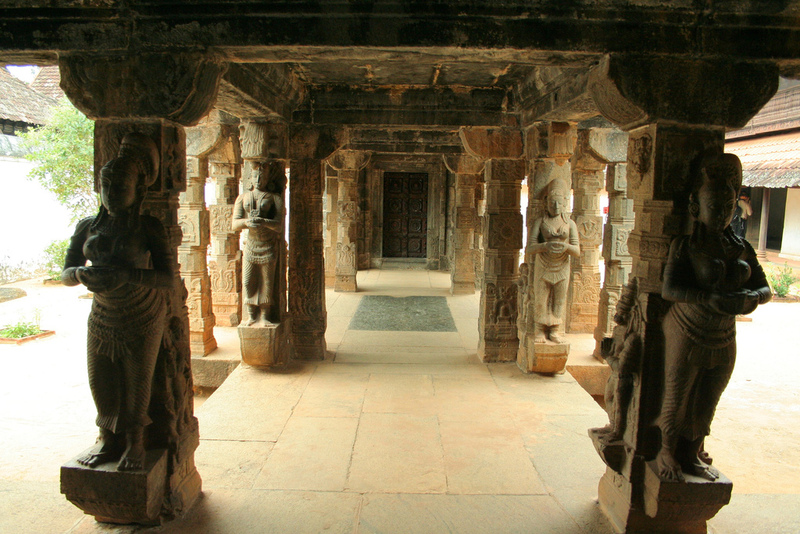 Each pillar and each wall are very beautifully carved and sculptured. 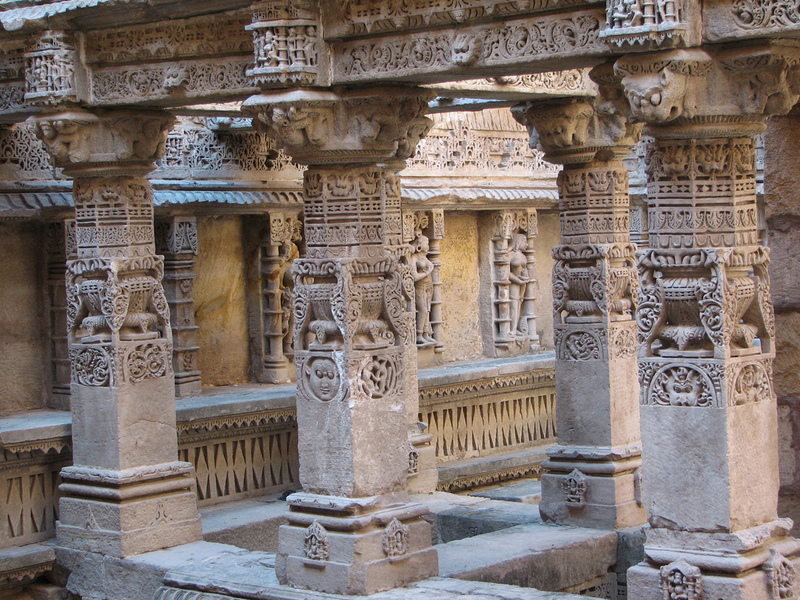 Rani-ki-vav is a highly decorated monument with carved panels of sculptures and reliefs representing the height of Maru-Gurjara style of architecture. Most of the sculptures are based on the Dashavatar,which are the incarnations of Lord Vishnu with heart snatching sculpture of Narasimha,Varaha, Rama and Kalki.The major highlight is the scrumptious statue of Mahishasur-Mardini . Apsaras – the angelic beauties showcasing Solah Singar,which are the16 unique styles of makeup is another highlight. Near the water level, you come to a beautiful carving of Sheshashayi Vishnu, in which the lord Vishnu leaned on the thousand-hooded serpent Shesha. Rani-ki-Vav was made at the wonderful imagination of craftsmen’s art in stepwell construction and it totally based on the Maru-Gurjara architectural style, each and every design of Rani –ki –Vav showing the mastery of this complex technique and great beauty of detail and proportions. It is designed as a reversed temple mainly concerned about the sanctity of water, it is split into seven levels of stairs with carved panels of high artistic quality; more than 500 main sculptures and over a thousand minor ones combine religious, secular imagery and mythological, often referencing religious literary works. Gujarat is full with the Heritage sites.It is also famous for wonderful archaeological park and Rani Ki Vav.It is one of the best archeological jewel of India and it is the pride of Gujarat. Padmanabhapuram Palace is India Heritage site and it is also listed on tentative list of UNESCO World Heritage sites.Padmanabhapuram Palace is a miraculous 16 Century wood palace of former Maharajas of Travancore (1550 to 1750).It is located in the Kanyakumari District, Tamil Nadu, India. 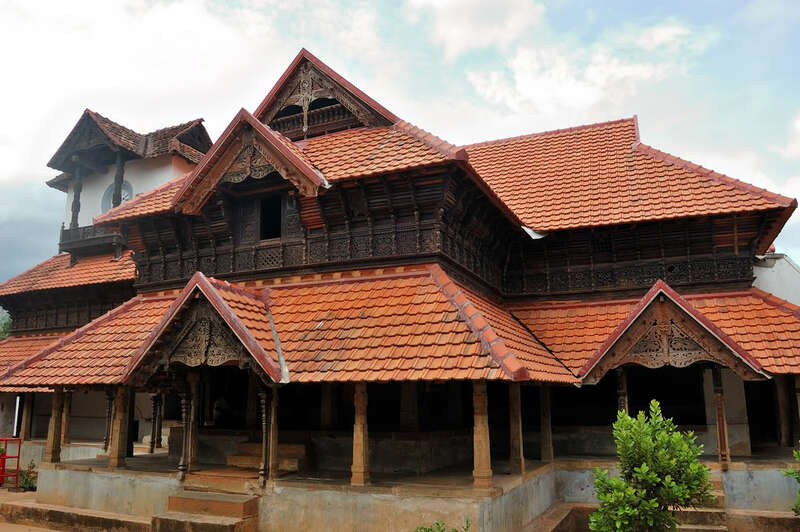 Padmanabhapuram was the old capital of former Travancore state. It is administrated by the Kerala. 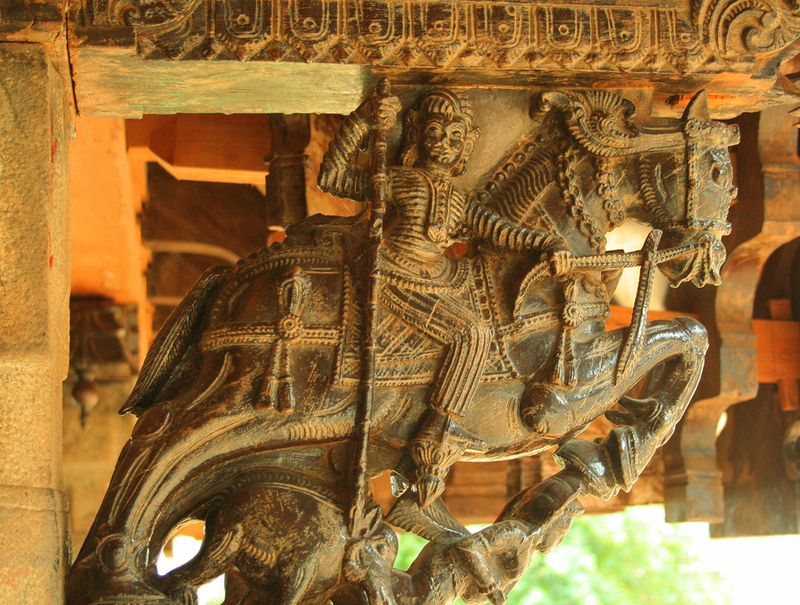 Padmanabhapuram is a wonderful example of craftsmanship of wood. 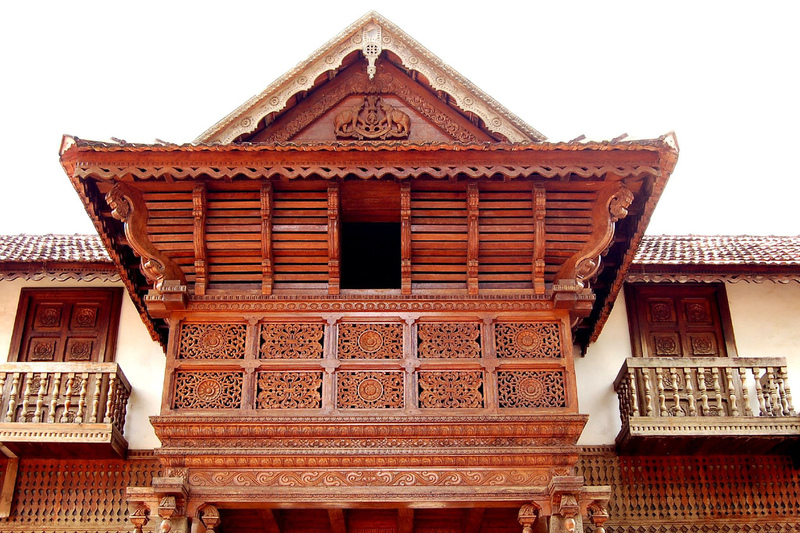 It is the largest, oldest and well maintained ancient example of traditional wooden architecture .This palace is a real fusion of wonderful craftsmanship, archaeology and high level example of material science. Padmanabhapuram fort spread over the 200 acres. The foundation of this palace is made by the fine red stones and granite. The walls of the fort are heightening around the 30ft.The main palace lies at the center of the fort. 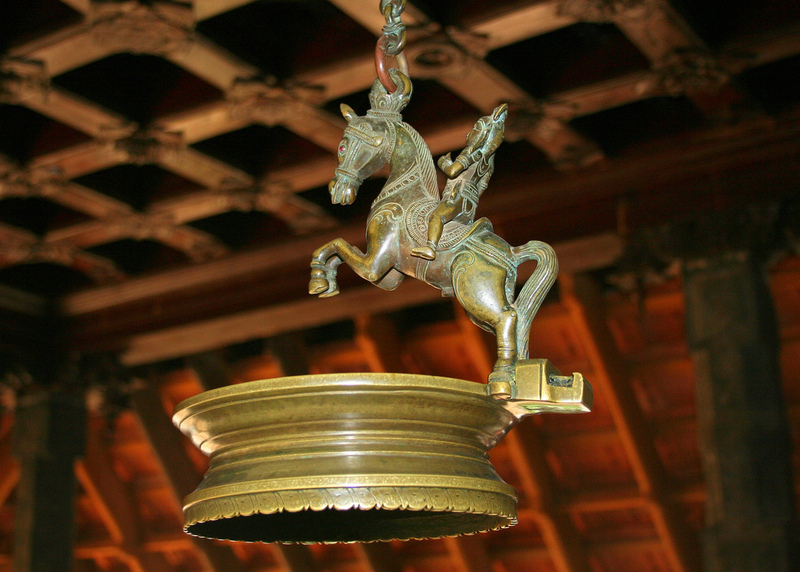 The ultimate interior of the palace is full with the incredible rosewood carvings and sculptured decor. It is also full with the pictures and sculpture of 17th and 18th century murals. There are several beautiful parts of this palace.Like Durbar hall and Thaikkottaram. 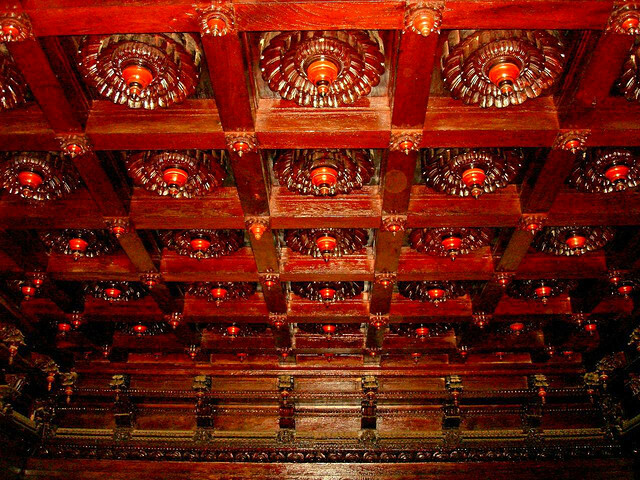 The Queen Mother’s palace or Thaikkottaram has a spectacular painted ceilings, teak and rose wood carved ceiling with 90 unique floral designs. 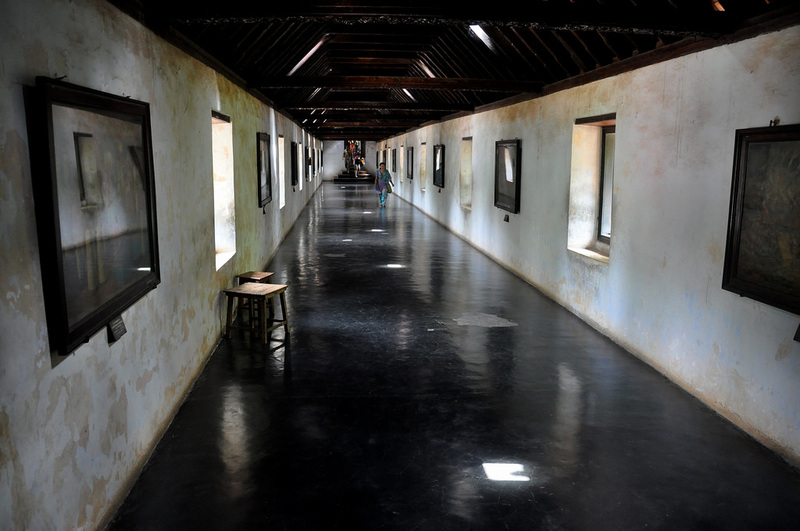 Durbar Hall has a shiny black floor, which is specially made from a jaggery lime, a combination of egg white, charcoal, burnt coconut, and river sand, granite tubs to buttermilk and cool curd . 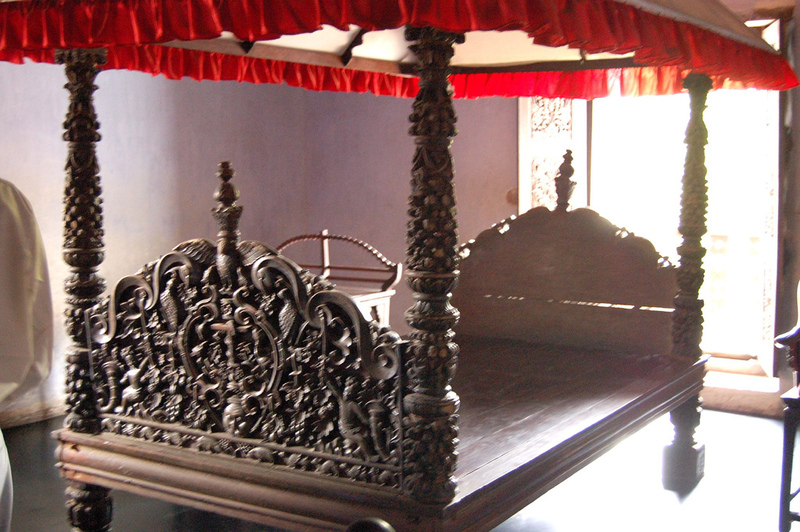 The bedroom of king is decorated by the beautiful carved bed and wonderful carved ceiling. The polished floor of palace is looks like a fresh polished floor but in reality it is 500 years old. 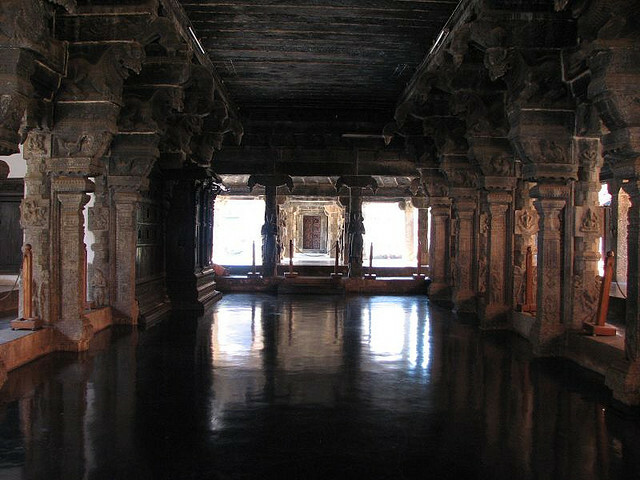 Saraswathi temple, worship rooms, large earthen urns, rooms for meeting are full with jackfruit tree columns, carved lamps, wonderful fish carvings on the ceilings, cyclopean stone and Belgian mirrors. Granite dance hall and large swimming pool are also very wonderful. It is really very amazing that it is completely made of natural things woods, mud, leaves and flowers. It is really a magical place with amazing wooden archaeology. 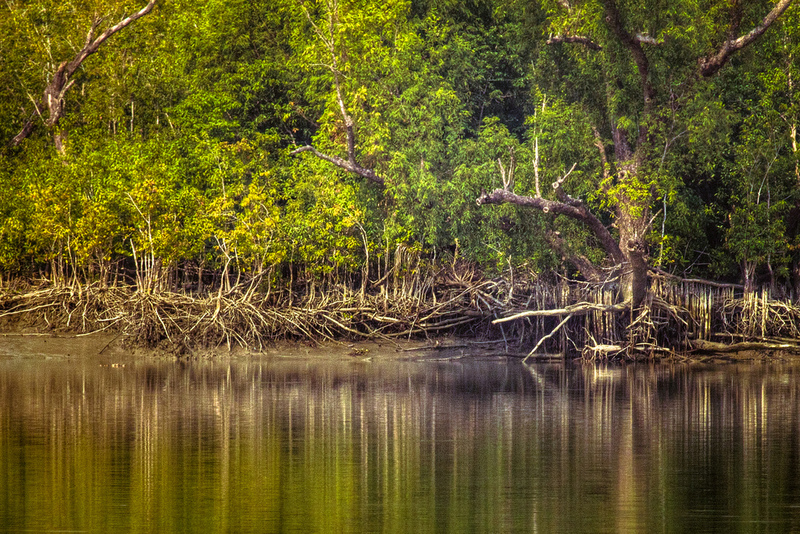 The Sundarbans delta or Sundarban National Park is the biggest and largest mangrove forest in all over the world. It is located in the southwestern delta region of the Bangladesh and west Bengal of India. This is an ultimate delta region created by the Brahmaputra, Meghna and Ganges rivers flowing into the Bay of Bengal. 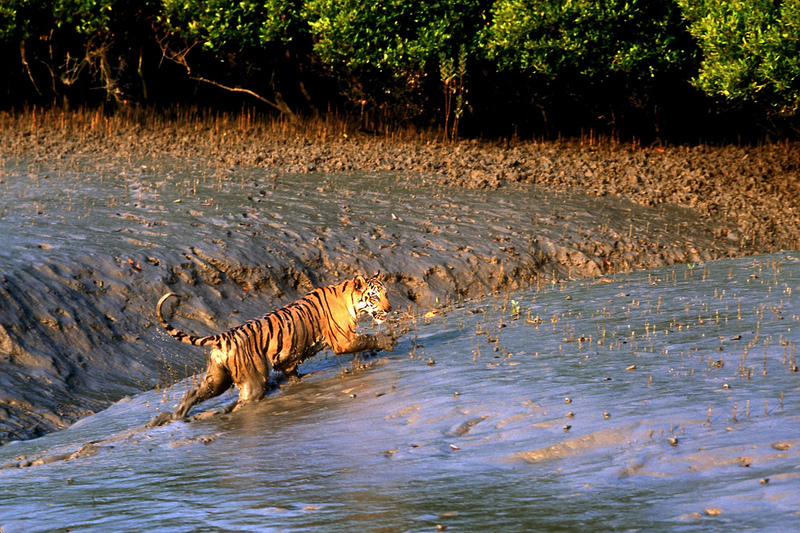 An Indian portion of Sundarbans listed as the UNESCO World Heritage sites. India has 9,630 sq kms as Sundarbans region, from which 5,400 sq kms are non forest area. The remaining part is forested area. This forest area is also known as sundarban Biosphere Reserve (SBR), which is further divided on the two sub forest. One is South24-Parganas and Sundarbans Tiger Reserve. Both subdivisions of Sundarbans forest divided by the river Malta. 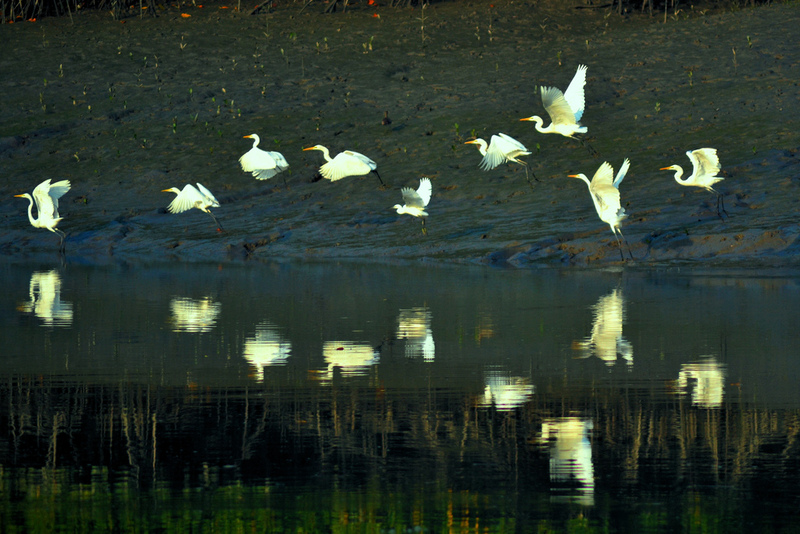 Sundarbans or Sundarvans is a Sanskrit word .The meaning of this word is “beautiful forest”. Locally this land is known as the name of “Sunderi”.The great Indian poet Rabindranath Tagore told about this region-“Golden Bengal”. Sundarbans is full with water and lush vegetation. Sundarban National Park world heritage property is blessed with the three wildlife sanctuaries (Sundarbans West, East and South) which are the main breeding place of a number of rare species of endangered wildlife. 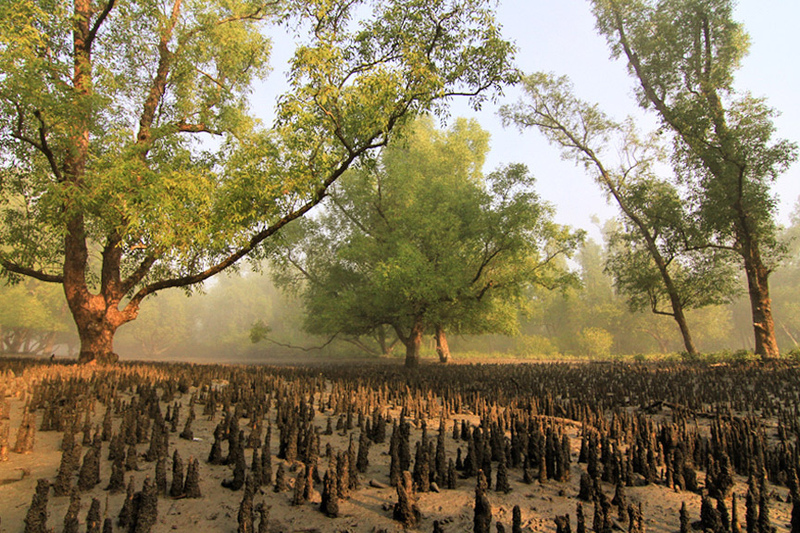 Creeks, swaps, islands, rivers, estuaries, deep merged forest, large muddy areas and tidal flats are the ultimate beautiful part of the Sundarbans. It is merged by the complicated network of the tidal waterways, mud land and huge range of small islands of mangrove islands. 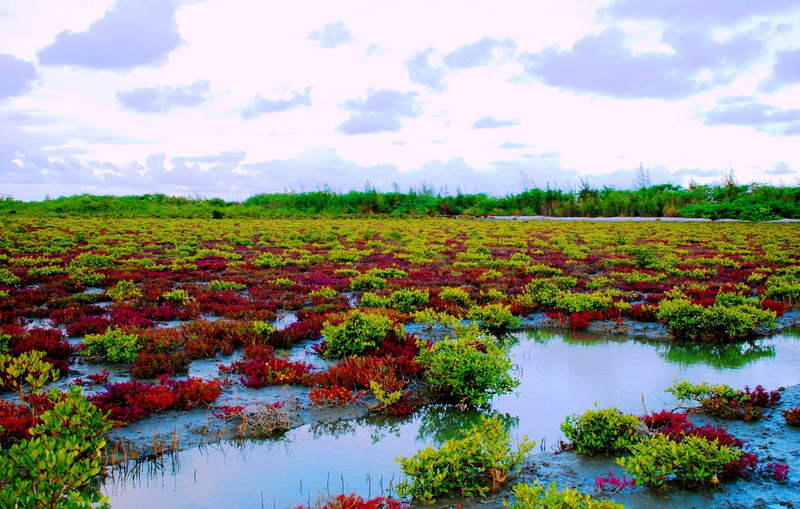 The area is naturally full with saline water, limited sources of sweet fresh water. It is renowned for the wide range of flora and fauna. It is a well Conversant land of Royal Bengal tigers. This delta land is the natural habitat of royal tigers but there is a huge range of different species. 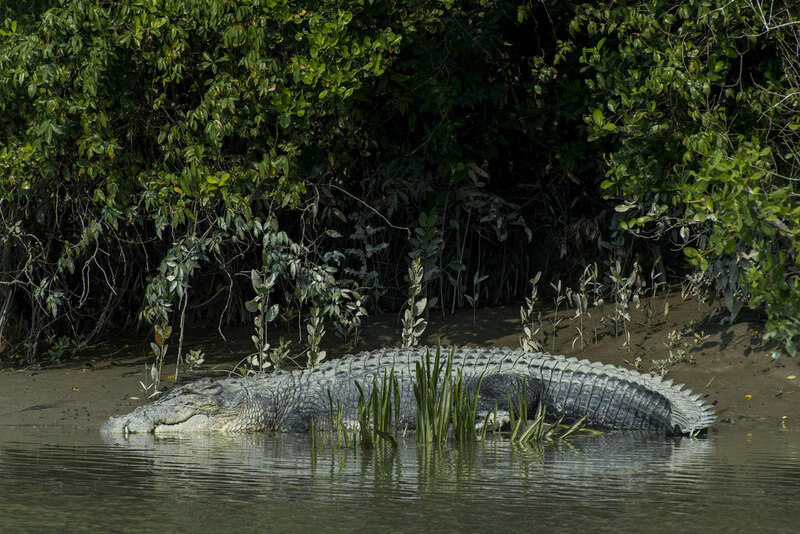 Indian python, different kind of fishes, several reptiles, around 260 species of beautiful birds, spotted deer and saltwater crocodiles are the permanent wildlife member of Sundarbans. It is also a home of a large variety of migratory birds like egret, fishing eagle, kingfisher,black-tailed godwit ,ester knot curlew and golder plover. 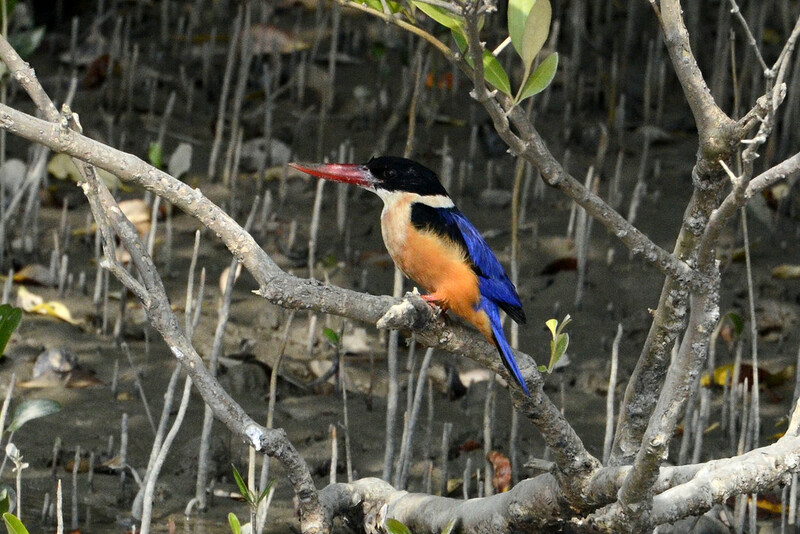 Around 4 million people live in the Sundarbans, they are dependent on the traditional crops during the dry seasons and in the wet season fish and prawn farming is the source of livelihood.The Sundarbans region has great potential to emerge as an international tourist place but very less number of tourists reaches there due to less marketing, less road connectivity and lack of accommodation facilities. Really it is the land of mysteries which are floating on the water, delta and a unique culture, home of old tales and incredible beliefs of local people on the regional god & Goddess. Desert National Park, Rajasthan, India is an exceptional exemplar of the eco system due to its prosperous fauna and flora. The Park is mostly in the Thar Desert which has the intense sand dunes, weathered rocks and extinct condensed saline water bottoms etc. This park is one of the largest park reserves in the country. It is very difficult to sustain in such a harsh and hot weather conditions and thus the flora and fauna of this park creates amazing magic for its visitors. 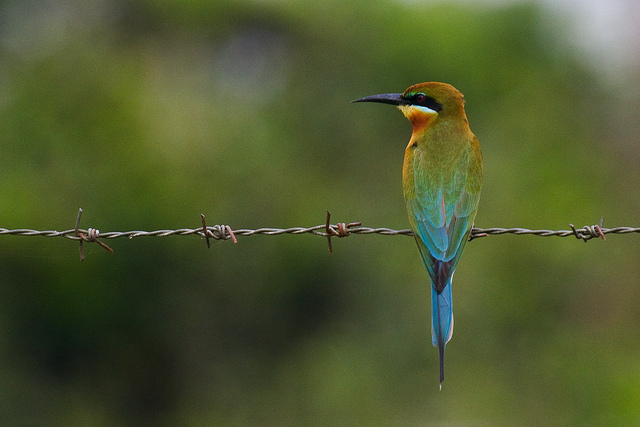 Because the park is so close to Bharatpur Bird Sanctuary, many of the birds from there are also seen here in the park. The place itself creates a magic and the visitors here are fascinated from its beauty that the country has nominated the Desert National Park in UNESCO World Heritage Sites. It has been nominated in 2009 because the Thar Desert is a stupendous example of ecological account and very well defines the altered stages of progression. 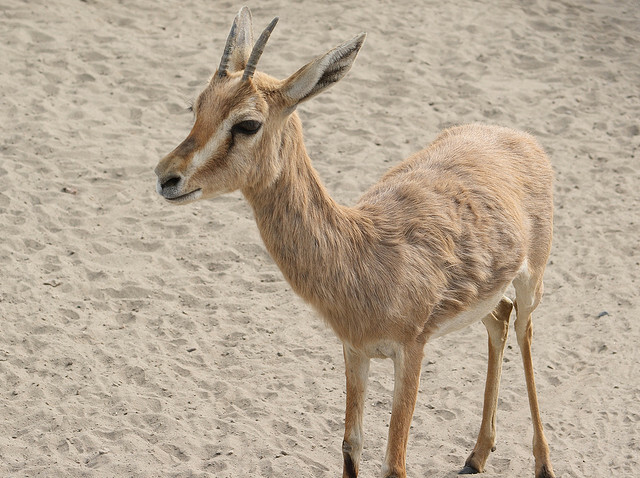 You can say it a great coincidence or just the wonder that all four state elements like state tree, state flower, state bird and state animal are found in the same particular place only which are Khejri, Rohida, The Great Indian Bustard and Chinkara respectively. It should definitely be considered as a World Heritage Site in India as the desert is much more new as compared to the other deserts in the world and is a home to many atypical and endangered species of flora and fauna. Desert National Park, situated in northern west India in Rajasthan is unique and distinctive in its own as it is a sole habitat of its type. Surrounded one side by Aravalli Hills and the other side by prolific plains of Indus River, The Desert National Park have an area of 3162 km square. The Park is shared between two prestigious districts of Rajasthan, named Jaisalmer and Barmer.Jaisalmer is also famous for Jaisalmer fort ,which is also listed as an UNSECO world heritage sites.Around 1900 km square of the park’s area is in Jaisalmer and around1262 km square is in Barmer. You will require a prior permission from the office of DesertNational Park and the District Magistrate, Jaisalmer to visit and explore the park. The distinctive, diverse and rich flora and fauna present in the park are accountable of its assorted beauty. One can clearly and easily saw plants like Ber, Palm Trees, Dhok and Ronj etc. 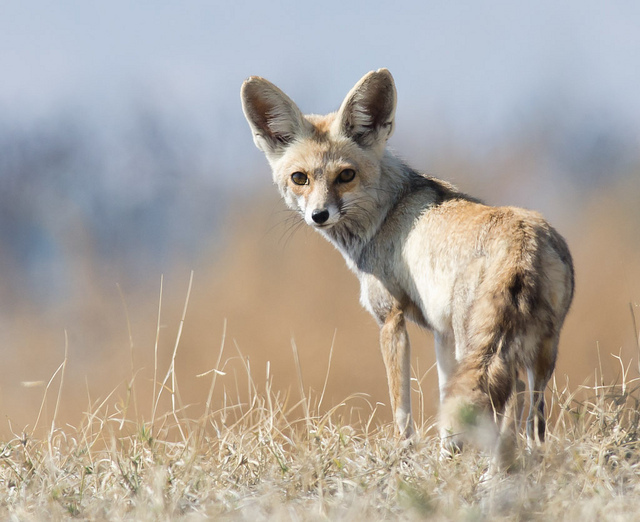 Many endangered birds and animals like Buzzards, Tawny Eagles, Short Toed Eagles, Falcons, Kestrel, Harriers, spotted eagles, Lagger Falcons and vultures, black buck, Indian fox, chinkara, desert cat, wolf and hare etc. Also, the most endangered The Great Indian Bustard is commonly seen in the park that too in good numbers. 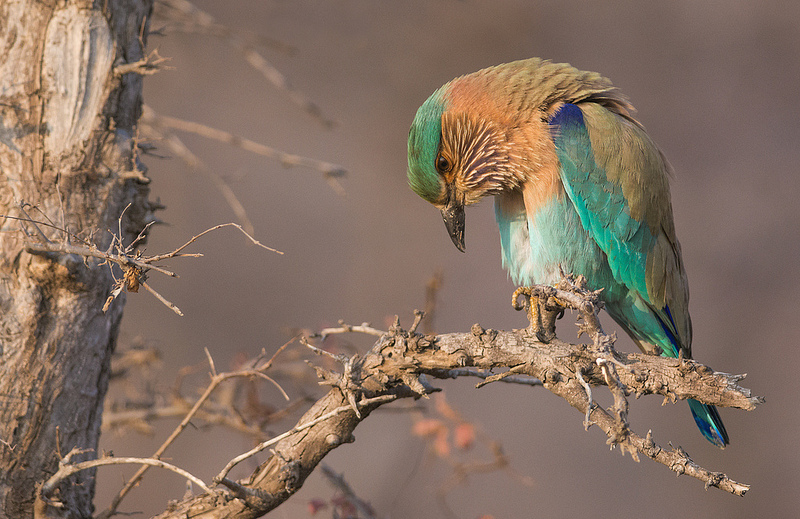 Blue tailed bee-eaters, bush quail and Indian Rollers are also the inhabitants of the park. The best time to visit the park is the winter season which is from November to January in India. If you want to experience a real excitement while exploring the different endangered species, you should go for a jeep safari on the startling golden sand dunes. Thus, we can proudly say that Desert National Park holds a remarkable position in India Heritage sites. Tourist’s spots in Srinagar have always enchanted the visitors. 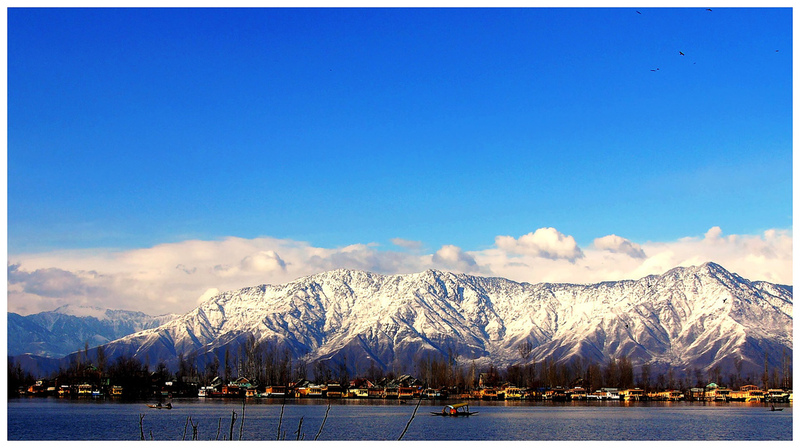 Srinagar is amongst the most beautiful city in India. It also serves as the summer capital of the state Jammu and Kashmir. A very striking river named Jhelum flows through the Kashmir which intensify its beauty to make it a real heaven. Astounding Chinar trees and almond trees planted in a particular straight pattern in the city exaggerate its exquisiteness to the fullest. Just a simple walk through the pretty riverside bank will make you realise the beauty of the Heaven on Earth.DalLake is also a very prominent feature of Kashmir. Main conspicuous attractions on the DalLake are Shikara, Houseboats and floating gardens and if you are courageous enough and love to go for adventure, you must go for skiing on DalLake in winters when it is frozen. There is nothing else in the world which can give you that much thrill. 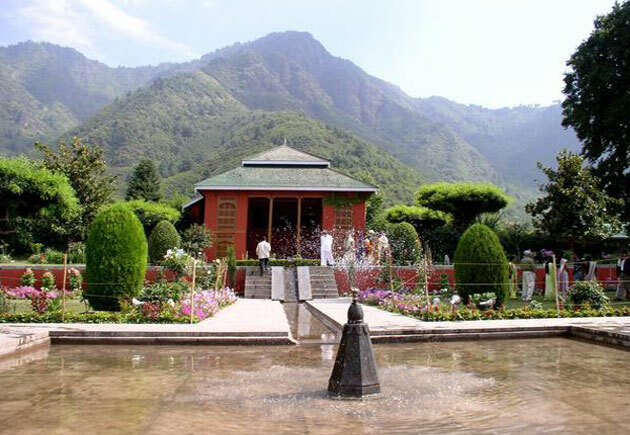 The city of Srinagar was ruled by the Hindus and Buddhists before it was taken over by Mughals.Mughal Gardens in Kashmir listed in world heritage sites by UNESCO world Heritage sites. Mughals have designed mainly three gardens in the city which are rocking the tourism industry till today.All the three of the gardens are designed accurately like the Mughal architecture and are unconditionally beautiful which never fails to leave you fascinated. The three gardens named The Shalimar Bagh, The Nishat Bagh and The Chashm-e-shahi which means The Royal Spring are exceptionally gorgeous. These were built by Mughal Emperors Shah Jahan,who is also famous for incredible monument Taj Mahal and Jahangir on the pattern of Central Asia, Persia and Turkistan. 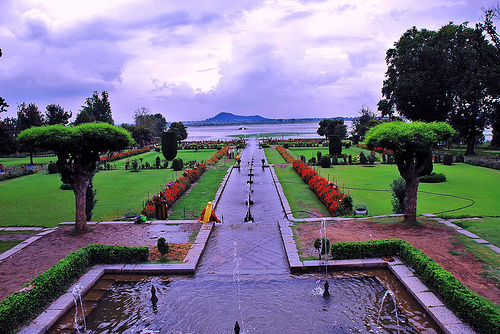 Terraced lawns, dazzling fountains, bright coloured long flower beds having stunning Dal Lake on the other side is not less beautiful than a dream. 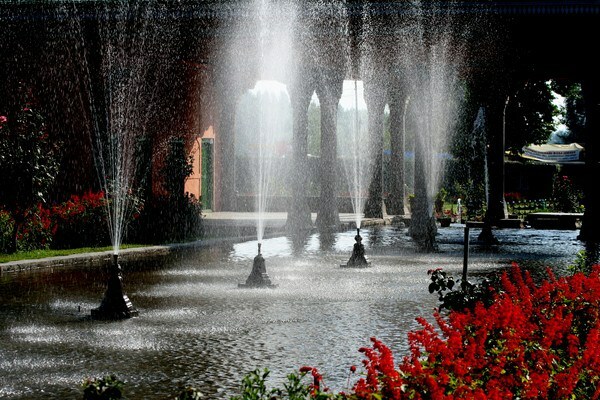 Shalimar Bagh was built by Emperor Shah which shows his love towards Kashmir. It was built for his wife. This beautiful garden has four terraces, each one on one above. The total area of garden is about 539 m by 182 m. In the middle of the garden runs a canal which is lined with polished shinning stones having running water. Nishat Bagh was built not by the emperor but by the empress Nur Jahan’s brother named Asaf khan in 1633 AD. This garden is the largest of all having seven terraces. Each terrace rises from the east of DalLake and appears not less than a mountain. With dramatically beautiful and vibrant flower beds and lush green gardens, this garden will never fail to impress visitors by its splendor. 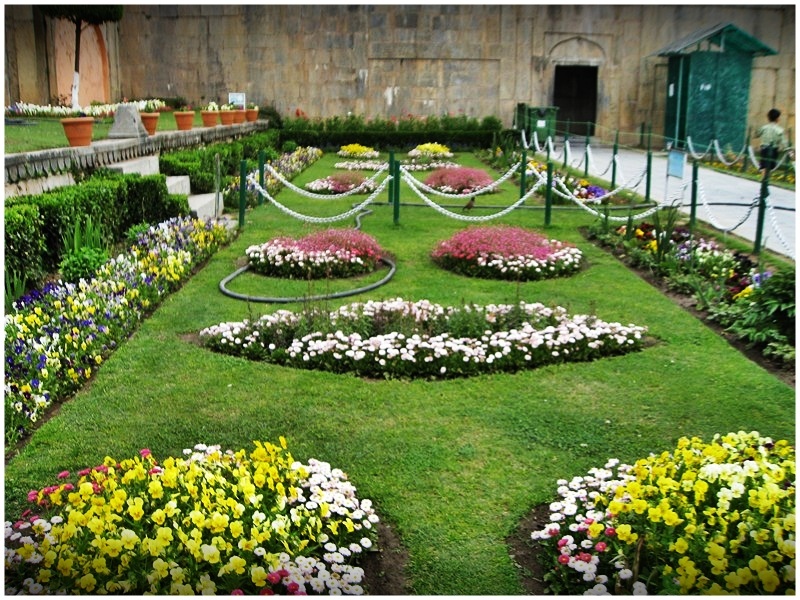 Chashm-e-shahi is the first Mughal Garden you will come across while visiting. It was designed by Emperor Shah Jahan in 1632 AD. It is built on a height which is above the main city. In area and size, it is the smallest Mughal garden. It has three terraces and a natural water spring which is covered by shinning stones pergola. It’s not that only rivers and tress will lure your heart with their beauty. There are countless features which Kashmir has to attract thousands of tourists over the year.Kashmir was also one of the famous Mughal city in Mughal Era.There are some other tourist destinations of Kashmir which are very popular among families, friends, kids and couples.